Released to critical malaise in 1960, The Magnificent Seven has aged like a fine brandy. Directed by John Sturges and starring Steve McQueen, the film has spawned countless copycats. Did you know The Magnificent Seven is a copycat itself? 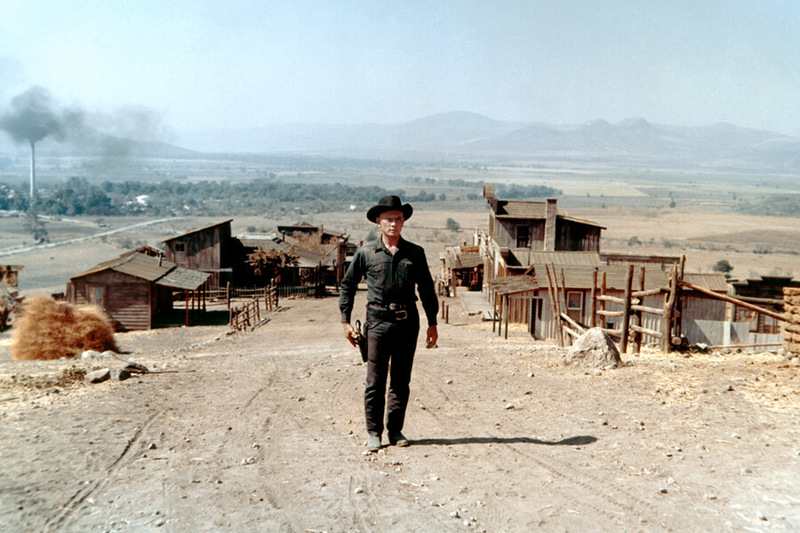 Now considered one of the greatest Western films of all time, what would you say if we told you it almost became a forgotten footnote in history? You’re about to learn all about that and more rootin’ tootin’ facts you didn’t know about one of the most important films in American cinematic history. 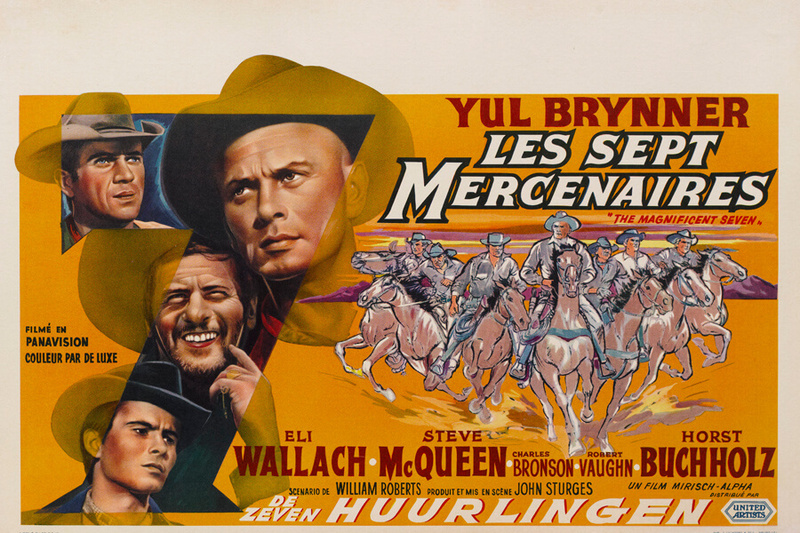 You won’t believe how much McQueen and Yul Brynner hated each other behind the scenes! Released in 1954, Akira Kurasowa’s The Seven Samurai is considered one of the greatest films ever made. The film follows seven Ronin in feudal Japan protecting a village from bandits. The Magnificent Seven, oddly enough,follows seven gunfighters in the wild west protecting a small village from Mexican bandits. Both films have their differences, but the basic plots are the same. The Seven Samurai debuted at the Venice Film Festival in 1954 and won the Silver Lion. The Magnificent Seven, as you’ll learn next, was a disaster when it was released six years later. When Academy Award nominations were announced, the film was nearly shut out. It managed one nomination for Best Original Score. Elmer Bernstein lost to Ernest Gold (Exodus), but revisionist history tells a different story. In 2005, the American Film Institute named the score the eighth greatest of all-time. Failing to make its budget back in the United States, The Magnificent Seven had to rely on overseas audiences to help it turn a profit. Luckily, other countries fell in love with the Steve McQueen and Yul Brynner vehicle. They loved it so much that American audiences decided to take a second look at it. In a few years, opinions on the film began to change and a wonderful thing happened; sequels were greenlit. What were the sequels and how did they perform theatrically? The answer to that is next. After it became a huge hit overseas, the movie studio realized there was more money to be made if sequels were greenlit. The first sequel, Return of the Seven was released in 1966 to modest returns. Guns of the Magnificent Seven came out in 1969 and broke just even enough to justify one more ride. The final sequel, The Magnificent Seven Ride, came out in 1972. It didn’t feature any of the original cast and was a financial disaster. Still, alongside The Planet of the Apes, movie studios were starting to embrace a new strategy: franchises! 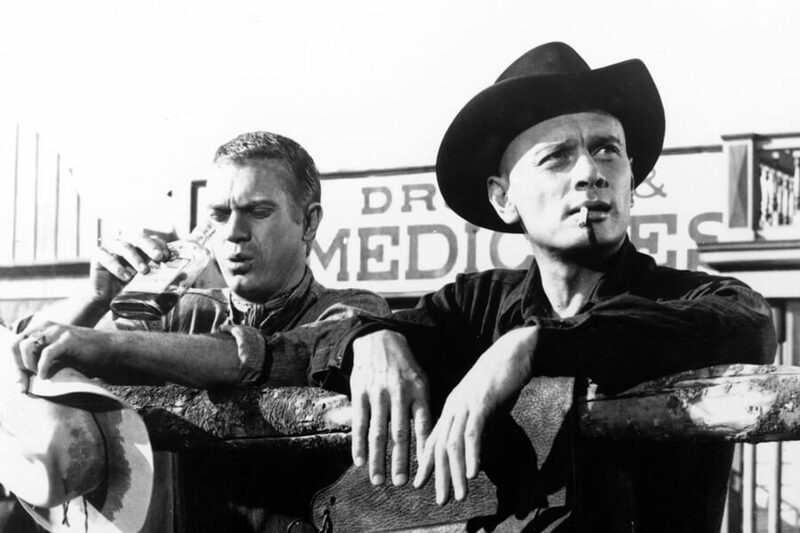 They may have played nice with each other on screen, but when cameras stopped rolling, Steve McQueen and Yul Brynner hated each other. According to reports, they were at each other’s throats as soon as the director called, “cut.” Brenner was the bigger star at the time but felt like McQueen was trying to upstage him. Three years before the film came out Brynner won an Oscar for The King and I. 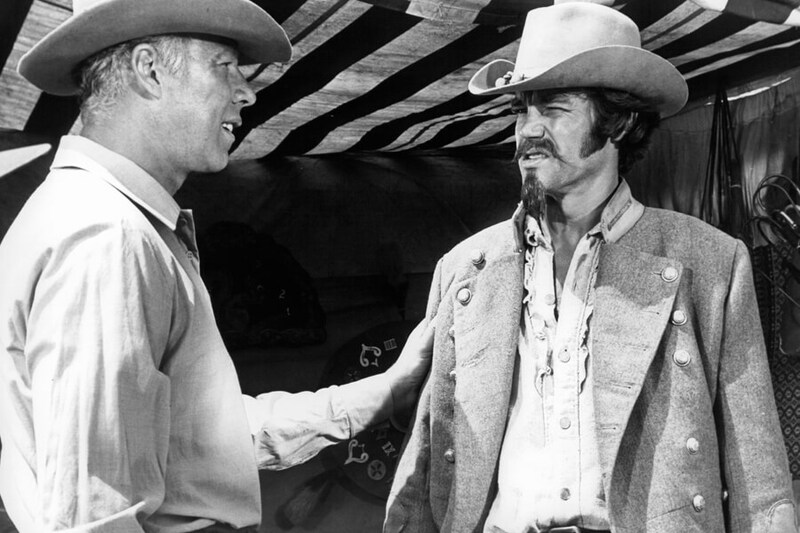 After the film wrapped, McQueen became one of the world’s biggest film stars. His most famous role came as the title character in Bullitt in 1968. Up next, learn how the film avoided using the worst stereotypes for its villains. 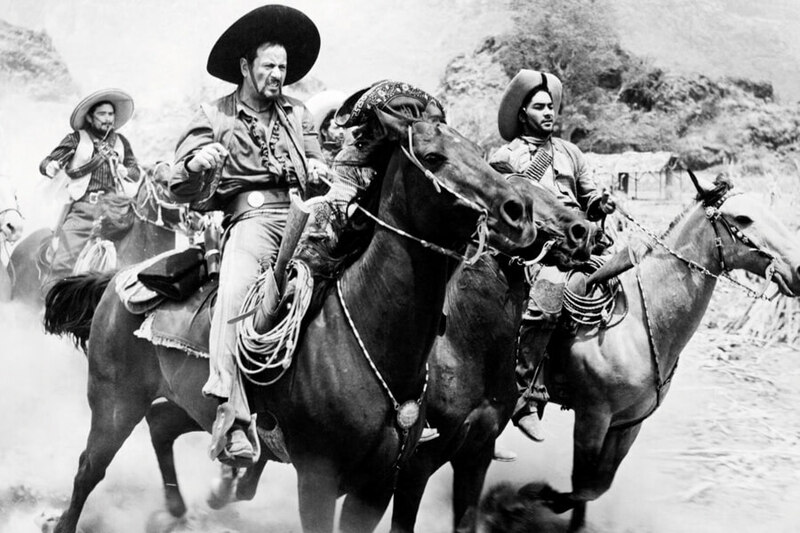 Cinema at the time The Magnificent Seven was released wasn’t known for being culturally sensitive. The filmmakers of The Magnificent Seven wanted to make something more realistic and worked with a Hispanic special interest group to create a more sensitive portrayal of Mexican culture. Of course, what ended up in the movie isn’t the most sensitive take. The main villain was played by Eli Wallach, an American actor born in Manhattan. Still, the group made sure that women wore clean clothes and that no one was abusing animals, in contrast to the way most movies depicted the culture at the time. One way The Magnificent Seven has become so ingrained in American pop culture is just how unavoidable it is. It’s almost always being played on television. Studies show that its the second most screened film on the medium after The Wizard of Oz. For how the film is remembered today, you’d never know it failed originally. If you look it up on Rotten Tomatoes, it sits at 93 percent fresh. The American Film Institute even ranked it as the 79th most thrilling film of all time. 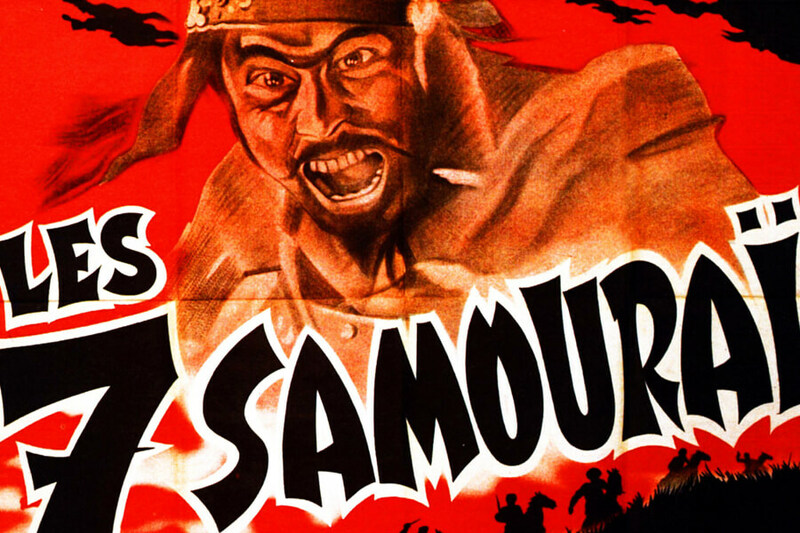 Its source material, The Seven Samurai, failed to make the prestigious list. Next, the seven ride into your TV sets in an exciting CBS series! 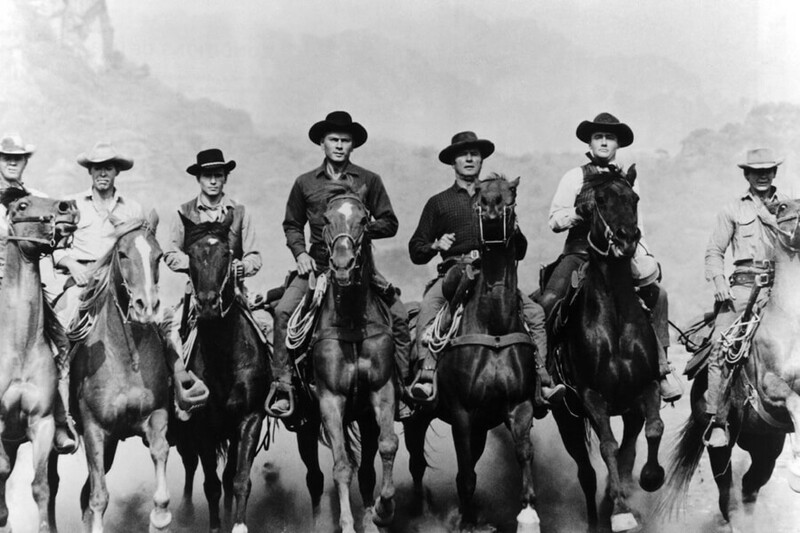 Speaking of television, in 1998 The Magnificent Seven television series debuted in primetime on CBS. The show ran for two seasons and aired 22 episodes. Critics gave the series high praise, and it gained a loyal following, but not a big enough one to keep it riding. Leading the impressive cast was Michael Biehn from Terminator, followed by Ron Perlman, Eric Close, and Laurie Holdman (pictured above). CBS tried to cancel the show after the first nine episodes aired but were swamped with fan letters. After the second season, ratings were too low to greenlight a third season of the expensive production. 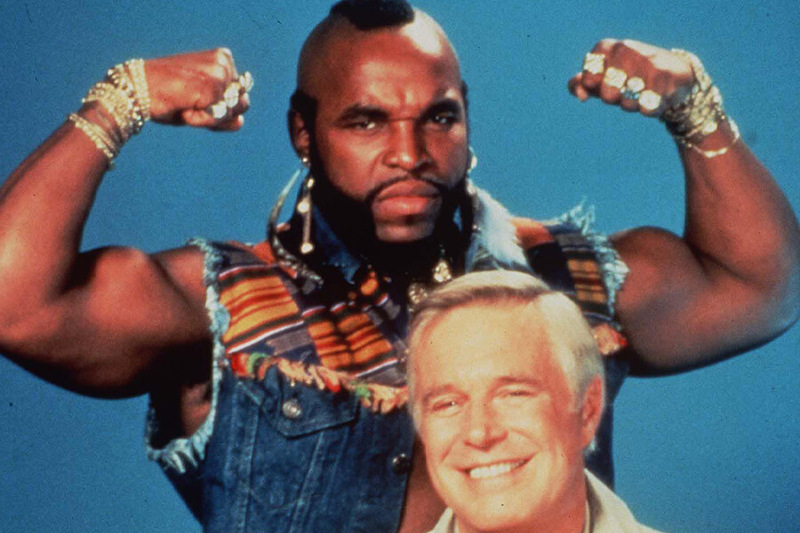 The A-Team was one of the biggest television shows of the 1980s. It was also heavily inspired by The Magnificent Seven. The pilot episode is even a rough remake of the film, seeing the team defend a group of farmers from evil bikers. At one point, James Coburn was cast as John “Hannibal” Smith. Coburn played Britt in The Magnificent Seven. He dropped out before production started and George Peppard was given the role. In 2010, The A-Team was released as a movie starring Bradly Cooper and Liam Neeson. It bombed but has not gone on to gain critical acclaim since. The Magnificent Seven film franchise may have flamed out in 1972, but the film found other ways to influence movies. Shortly after the success of Star Wars: A New Hope, Battle Beyond The Stars was released. The film took the plot of The Magnificent Seven and changed the setting to hundreds of years later in space. 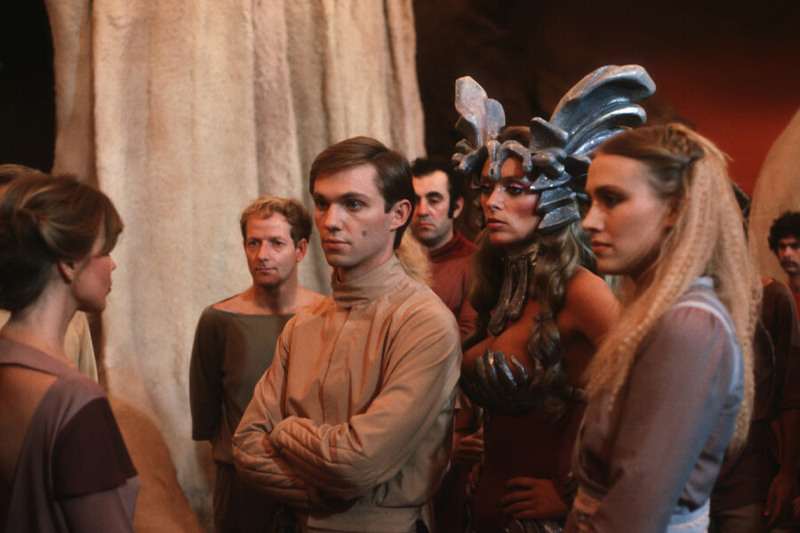 Produced by Roger Corman, the film made $1.7 million theatrically and was the behind the scenes debut of James Cameron. His special effects were the only thing critics praised about the film. He would go on to direct The Terminator with Micheal Biehn!